Source code for all the example screenshots used in this site. 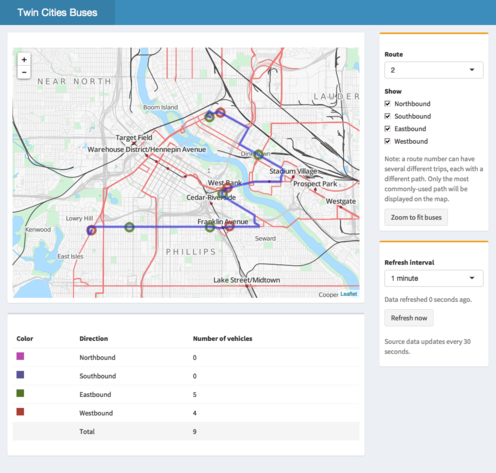 This app displays live locations of buses in the Minneapolis–Saint Paul Metro Transit system. It fetches data from a live feed, and uses the leaflet package to generate the map. 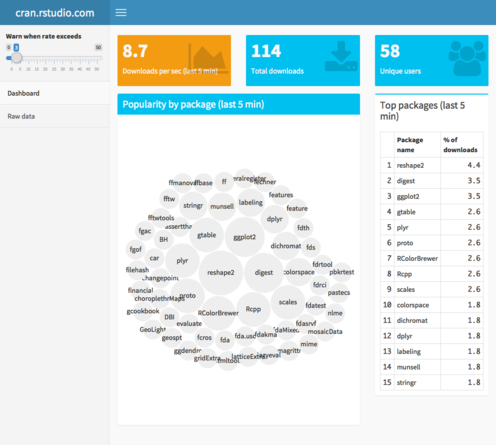 This is a dashboard that displays streaming data from the RStudio CRAN mirror logs. The streaming data is a 1-week-delayed live stream of download logs from cran.rstudio.com.